Barnes, John. 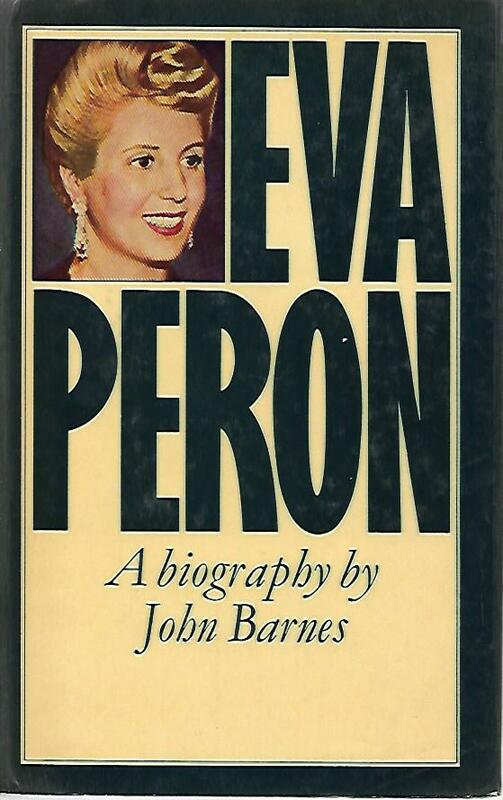 Eva Perón. A biography . Buenos Aires: W.H,Allen & Co, 1978. 1.The wrong side of the tracks. 2. An aspirign actress. 3. An ambitious army officer. 4. Eva to the rescue. 5. Perón for president. 6. Evita-First lady. 7. European adventure. 8. 'Love conquers all'. 9. Eva's rule. 10. Teething troubles. 11. Repression. 12. 'My life for Perón'. 13.deatth of the legend.14.Saint Evia?. Epilogue. Bibliography. Index.